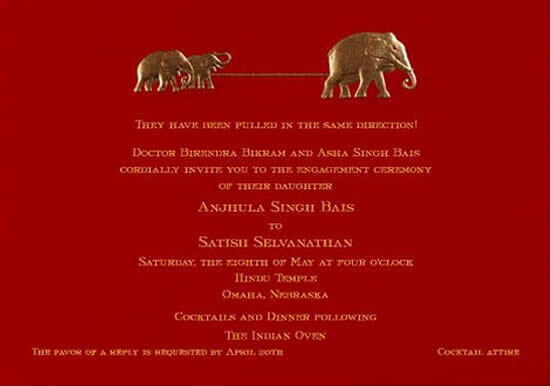 I did not post anything on Anjhula Singh Bais’ wedding at the Deogarh Palace with Satish Selvanathan, which as per Anjhula turned out to be a nightmare. Since I did not have much facts about the controversy, I did not post on it. But many readers used the ‘Comment’ space on another Post and aired their views. Submitted on 2011/07/03 at 8:55 AM @Nobody – This is a story I’d like to hear! Jack please do tell. This Anjhula character is intriguing to me – what’s her deal? Submitted on 2011/07/04 at 9:43 AM Anthead, u’re right its surpirsing that Jack has not talked abt her yet. A friend of a friend told me this. She tells people she is from the Royal family of Baiswara but there exists no place called Baiswara in Rajasthan! All untrue… she didn’t want to pay – simple. Even the caterers, florists etc. weren’t paid the full amount. Submitted on 2011/07/07 at 6:26 AM @Amit, just read this… u’re right, big big bunch of lies here. Submitted on 2011/07/08 at 12:56 AM Passing comments against someone without evidence to substantiate it will not change the reality. Very disappointed that such biased comments are being posted without checking both sides of the story. Jaydeep, am deeply disappointed. Don’t crucify someone without knowing all the facts, from both parties. Hear her side of the story. It may provide a different dimension. Submitted on 2011/07/08 at 1:35 AM I have interacted with Anjhula for years now. Anjhula has NEVER spoken of her family being royal; she has always maintained humility by saying she is not anywhere near jodhpur, jaipur, udaipur, or jaislamer! That’s why when TOI published the wedding coverage, she made sure they stated thakur, which is her father’s title. She hails from Banswara in Rajasthan. It EXISTS. Let’s forget about payment for a second as that’s completely secondary to the fact that you CANNOT HOLD A GUN AND MAKE SOMEONE PAY. If the consumer courts said you owe someone ‘X’ amount of money, I can confidentally say she will pay before even her own university tuition. Submitted on 2011/07/08 at 7:55 AM Hi Amit, were you at the wedding? I was and I didn’t have any place to stay the first night, the tents were not operational. Kind of a big deal when you consider your guests don’t have anywhere to go. Oh and my generator never worked! Submitted on 2011/07/08 at 9:47 AM Jasmeen, you say ‘Anjhula has NEVER spoken of her family being royal’. Really? Pl visit her website which announces “Anjhula’s paternal side hails from the erstwhile royal family of Baiswara of Rajasthan while the maternal side is from the city of Nawabs, Lucknow”. U are right there is a place called Banswara in Rajasthan, but there is no place called Baiswara. And yes, just becoz I’m educated (or a supermodel) does not mean whatever I state has to be true (someone held a gun and made me pay), please get the version of the Deogarh Royals too. Submitted on 2011/07/08 at 10:41 AM Well, what about this article that claims that the Rawats of Deogarh are close family friends (giving the impression that they were basically providing the venue for free). All I know about this girl is her relentless self-promotion. Which I guess is fine if you’re in the entertainment biz. I read the other links. Hmmm maybe someone didn’t want to pay but you have to ask why? Did the Royal family of Deogarh adhere to a contract? Probably not. Nobody listens in India. I have had so much trouble with hotels, stores, airlines and it seems the police are not much better. The link is in a major newspaper, so I’m sure at least the journalists know what they are talking about and there is credibility. I have never heard of this place Deogarh until this blog so I looked it up. It’s always interesting to hear the opinion of a foreigner, away from all the Indian squabbling. Here’s a link of a review written in 2006. http://www.tripadvisor.com/ShowUserReviews-g297670-d307622-r5040681-Deogarh_Mahal-Rajsamand_Rajasthan.html#CHECK_RATES_CONT This experience unfortunately sounds very similar to the above Times of India links on what happened. Given there are many more good reviews, but all it takes is one horrible one to be life changing or a waste of time. Vandana, I do not know you but since you have directed your comment to me I feel it necessary to respond with my perception of the incident. I know Anjhula on a professional and personal level; she is a PETA ambassador and spokeswoman for Society Creating of People Empowerment, and is a honest, level-headed girl. I have always looked up to her. Were you there at her wedding? If not, it’s not fair to dismiss her statement “someone held a gun and made me pay”. I don’t agree with Rahul. I have modelled with Anjhula for years and had no idea about her education or where she came from until I received the invite which I couldn’t go for because it was over fashion week. And than I read in the papers about her wedding and even than she didn’t talk about anything when we did a press conference recently. I was one of the official photographers for the wedding and our job is to capture every emotion and memory. We caught on photo and I’m pretty sure the videogarpher on video the conversations about shutting down the sangeet by cutting the electricity if Anjhula didn’t pay few lakhs on the spot. Some Mr.Singh who did the tents threatened to have her guests vacate the tents, right before her Sangeet . Jasmeen, I have nothing personal against u, yr blog or Anjhula, I may be right or wrong. Since I am an ex-journalist all I wanted to emphasise is “someone needs to get the version of the Deogarh Royals too”. 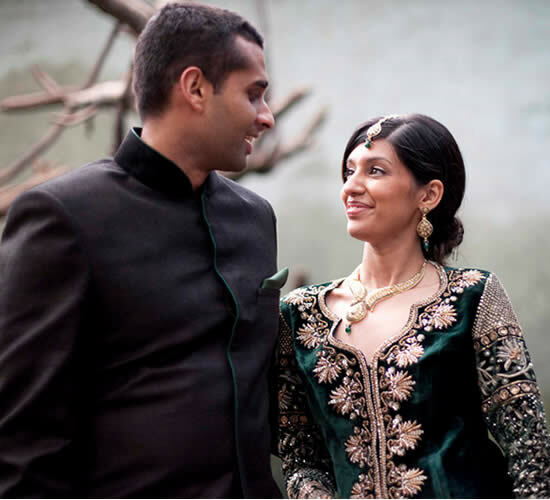 Wishing Anjhula and Satish lots of happy years ahead. The people being discussed have a name in society. Why would someone in the public eye run the risk of not paying and running away? If you’re famous it will catch up with you, you can’t just “dissapear” like a normal person. There must be something more here. I read the TOI link, a paper is not going to write something for fun if you don’t have proof, there must be contract paperwork, photos or testimonies otherwise stories like this go to mid day, lol! It’s interesting to me as a writer that Deogarh has chosen this portal to try to comment and sway people. When contacted for their side of the story for the paper I write for, there was no response. Presumably, the same thing happened with Times of India. The option to speak is open to both sides. One must wonder that if one doesn’t speak, is it because they have nothing to say? After this long, nothing new to glean, only revelations. Thank you, Vandana. I agree that the Deogarh side should be questioned but when a senior journalist from TOI, Rajasthan asked for a comment, Shatrunjai [the younger brother] said he was very sorry this had happened and asked how did TOI come to know? Finally, a site where I can trash these guys. These Deogarh f*ckers charged my Amex Card 4 times for the wedding. Not once, not twice, four times. It’s a shame there’s not a way to attach documents/photos here because they would have allot of explaining to do. I had to argue this with Amex and thankfully Amex intervened and refunded the money (best customer service). Suspiciously this didn’t happen to only me but many guests, is Deogarh sure they want to take on 250 people that experienced their misery in our friends’ weddings? I have emails from Anjhula during the wedding and after following up and apologizing over and over that my card was over charged. Maybe they were impressed by the color of the card (Black), maybe we should invest in an anti-corruption workshop for them, what say?